Bertram is dedicated to its craft, creating innovative, high-quality yachts that showcase the finest details of design and engineering. The Bertram 44’ offers a luxury boat in a compact shell. With the best in navigation and fishing opportunities, this model offers the ultimate at-sea experience. 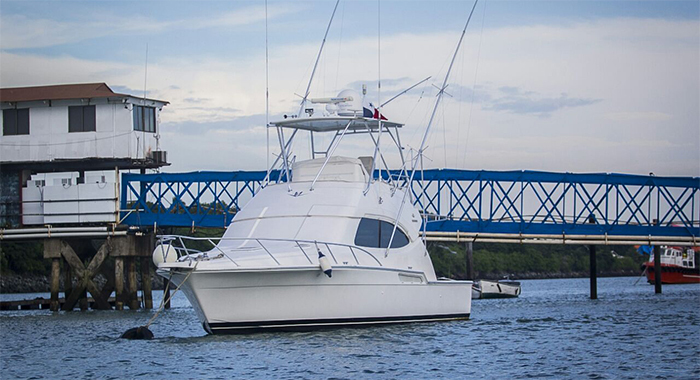 The Bertram 44’ is known for its famous deep V hull design, excellent performance, and top-tier fishing features, including professional gear, live baitwell and outriggers, and large fish boxes on the floor. While these features are key for a good fishing trip, the Bertram doesn’t sacrifice comfort for function. The yacht is decked out in luxurious fabrics and exquisite cherry wood. The spacious passenger compartment has everything you need to relax while you’re not fishing or lounging on the deck. You’ll find a living room, dining room, and kitchen, allowing you and your guests to spread out and remain comfortable. The yacht also has a premium sound system, BBQ unit, and AC system. The yacht is also stocked with plenty of ice and beverages to keep you cool and hydrated, including water, juices, Gatorade, and beers. Inside, the boat has two spacious cabins in addition to one complete bathroom. 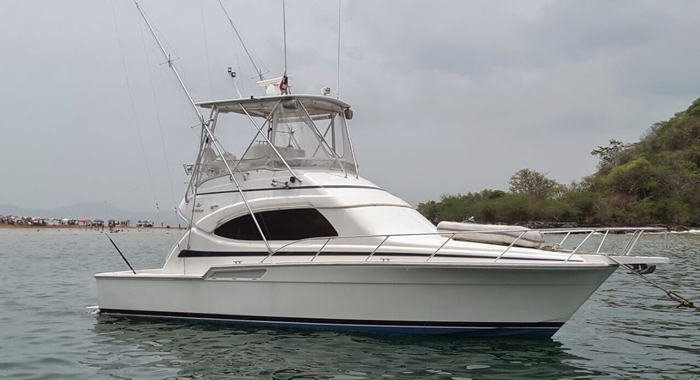 A Bertram 44’ yacht rental also includes a captain and deckhand. Bertram is a Merritt Island-based sport fishing yacht manufacturer with watercrafts known in the business for their outstanding performance in big seas. 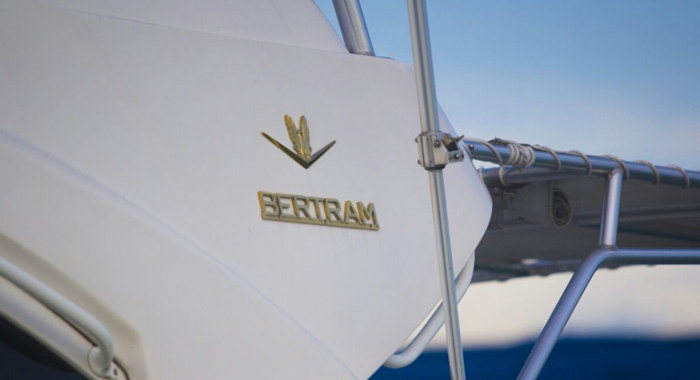 With more than 50 years of experience, the Bertram brand continues to impress boaters by using only the finest marine components, construction techniques, and materials. The Bertram 44’ yacht has a total capacity of up to 12 people. Invite friends and family for a relaxing ride or fishing outing. 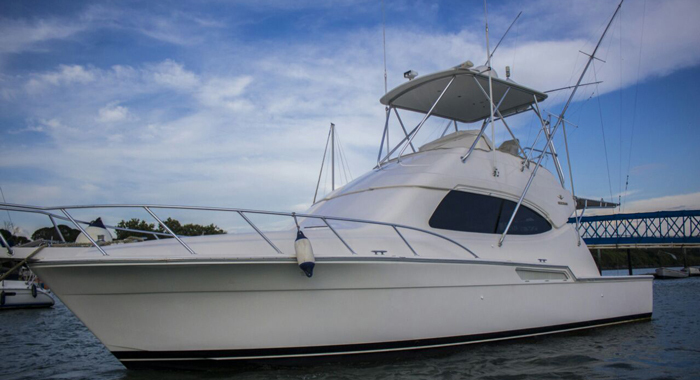 If you’re looking for the best yacht model for yourself or a small group of friends, consider the Bertram 44’ yacht.